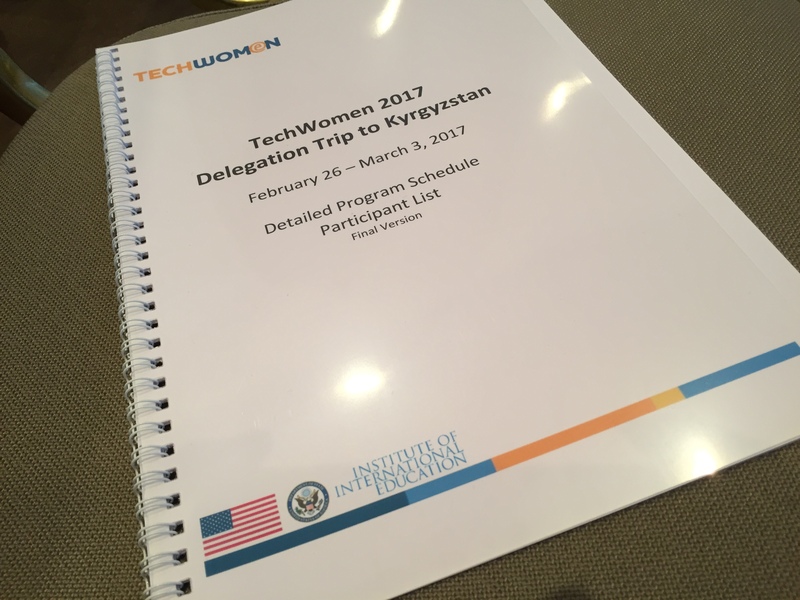 I was part of the TechWomen Delegation to Kyrgyzstan from 23 February – 4 March 2017 in Central Asia. 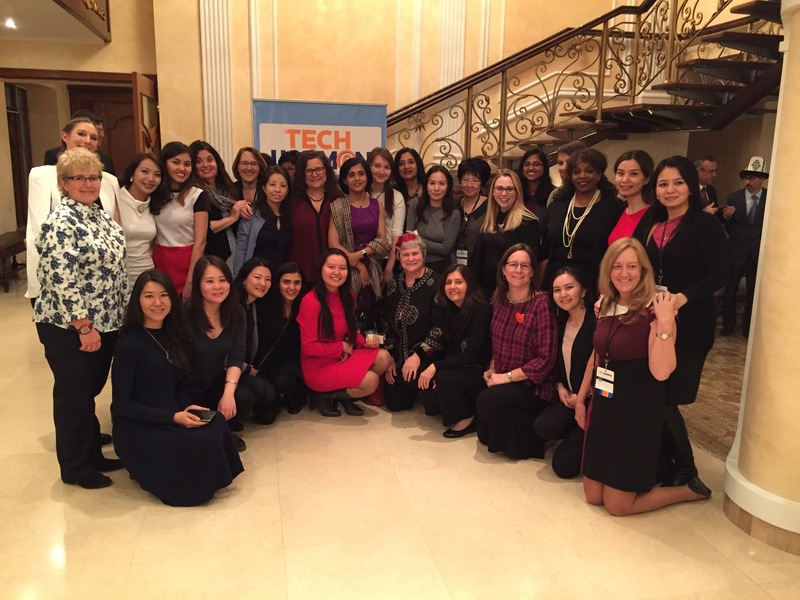 We spent a week giving talks and making presentations to women, girls, technical startups and the STEM community. 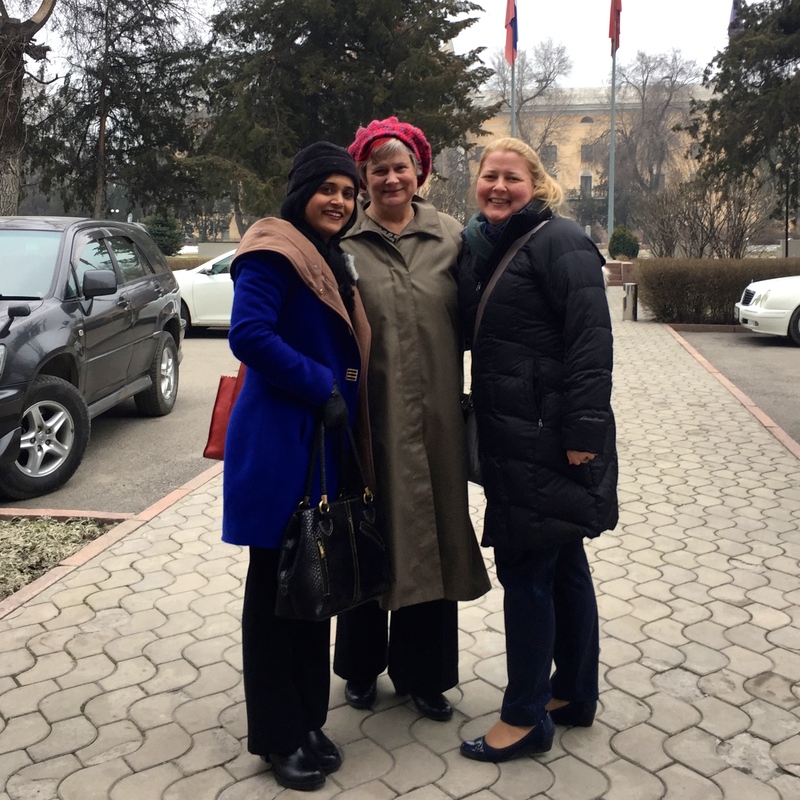 35 participated in the Delegation – from the USA, Uzbekistan, Kazakhstan, and of course Kyrgyzstan. 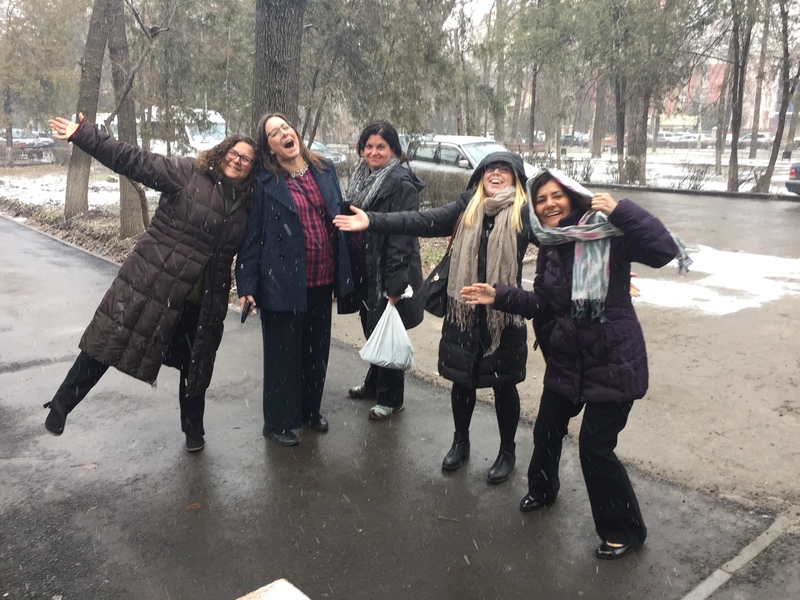 In addition to the mentors from the Silicon Valley and San Francisco Bay Area and the Fellows from Central Asia, our Delegation included staff from the Institute of International Education and the US State Department. 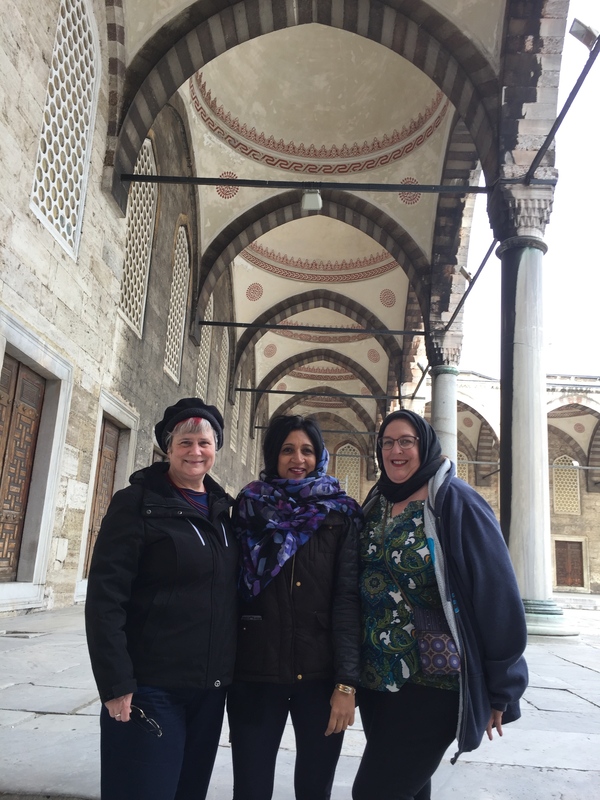 Three of us had an accidental tour of Istanbul getting to Kyrgyzstan since our flight connections didn’t. 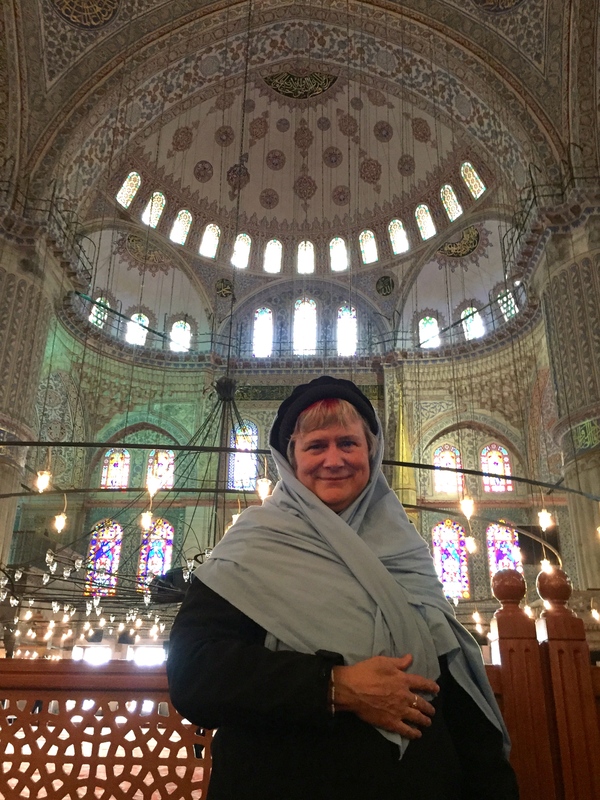 We hired a driver during our day of waiting for the next Bishkek flight and saw Istanbul’s Blue Mosque, Hagia Sophia, and other remarkable locations in that beautiful and cosmopolitan city. 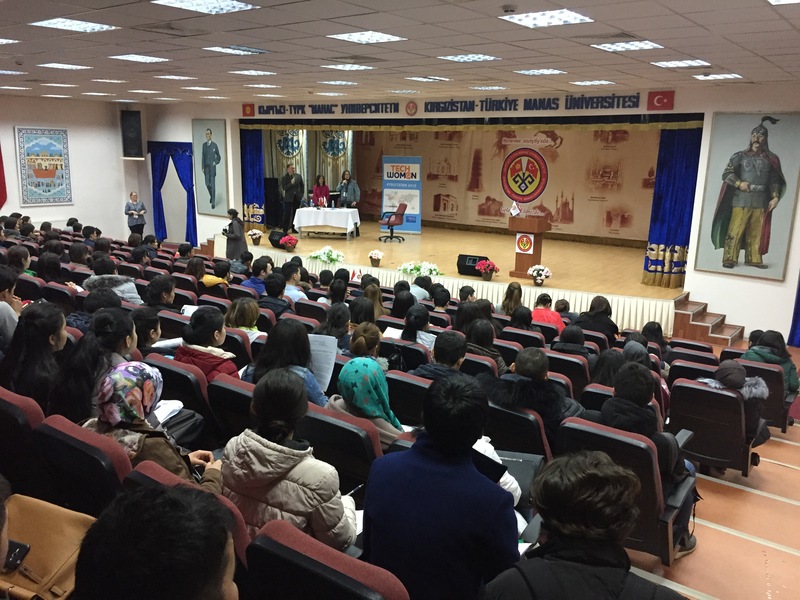 Since there is a Travel Warning for Turkey, we avoided crowded areas. 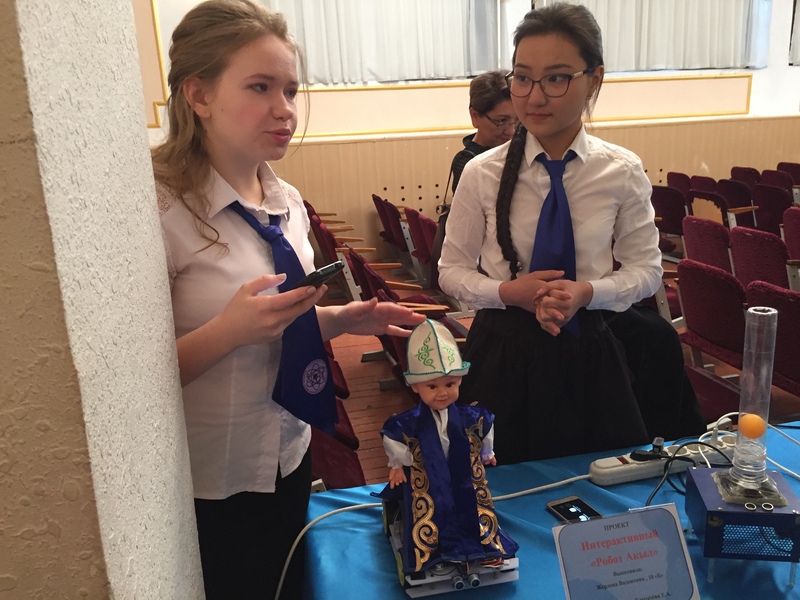 Each Delegation member had the opportunity to give several professional presentations. In addition to general mentoring sessions, my presentation topics included: Successful Mentorship (at the Kyrgyz State Agrarian Academy), Crowd Funding (part of the “Silicon Valley Experts Symposium” hosted by the US Ambassador, Sheila Gwaltney and the Kyrgyzstan Information Technology State Committee), Women in Tech: Challenges and Opportunities (at StartUp Tuesday), Social Media Marketing and Professional Networking (at the Kyrgyz-Turkish Manas University), and Challenges and Opportunities in STEM Careers (in the American Corner, for high school students). 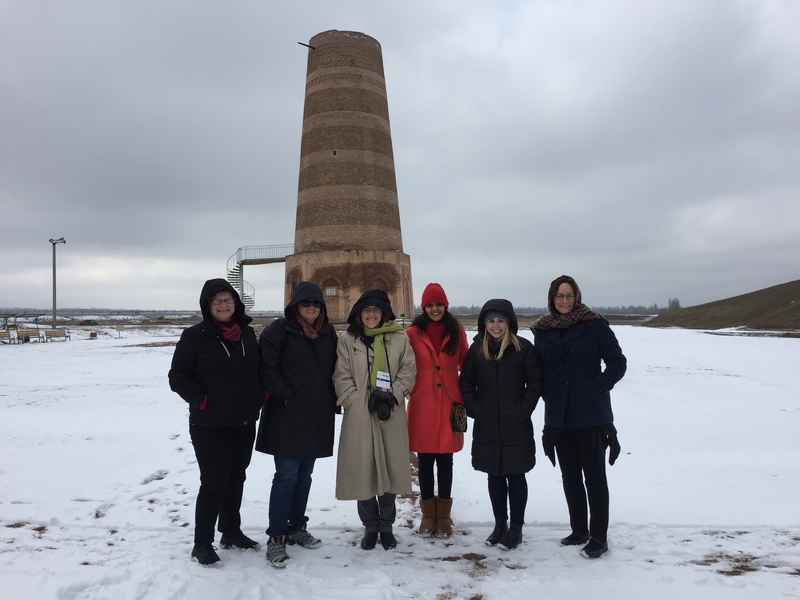 After the presentations were over, a small group of us rented a bus and drove to see the remarkable 9th century minaret called the Burana Tower near Tokmok. 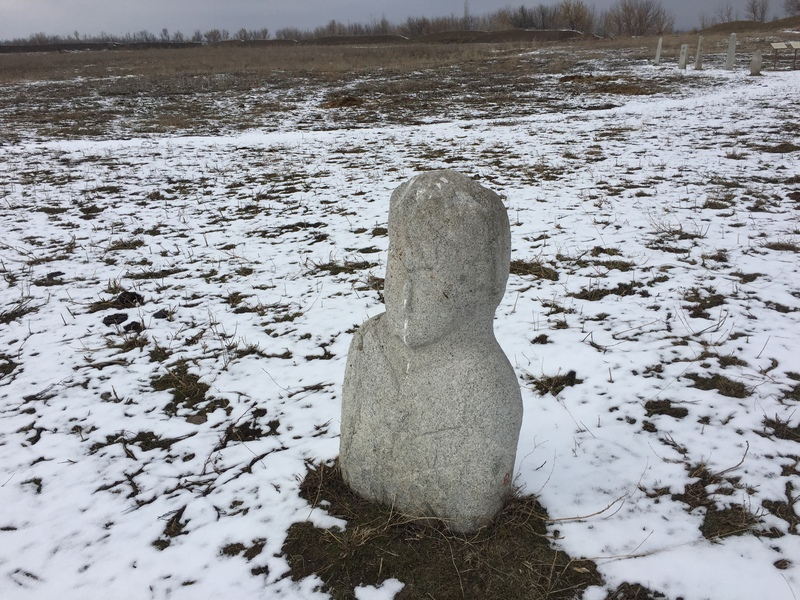 The day I arrived in Bishkek was when my mother died. I knew when I left that this was a possibility even though I thought (and hoped) she would be with us much longer. I had made all of the preparations in advance and both of my brothers were with her when she died. 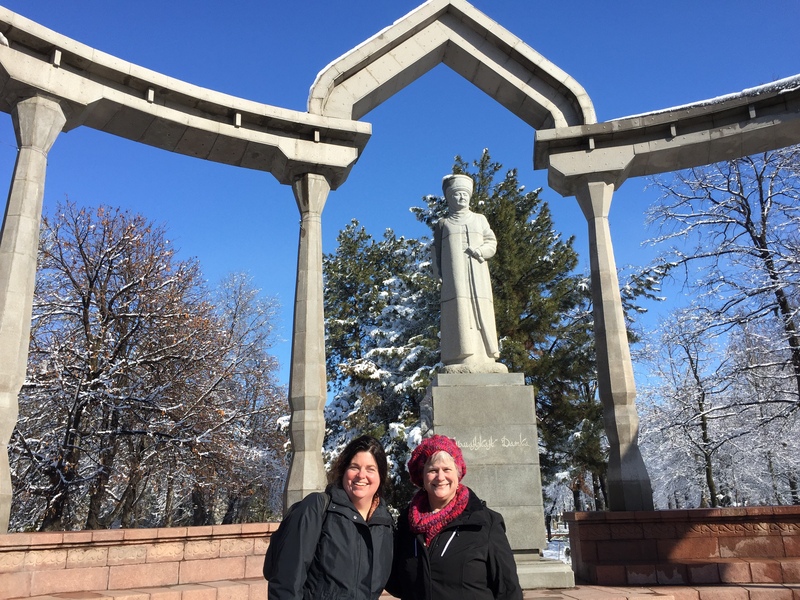 I saw continuing my participation in the Delegation as a tribute to the woman my mother raised me to be – but it was hard to be away from home at such a time.